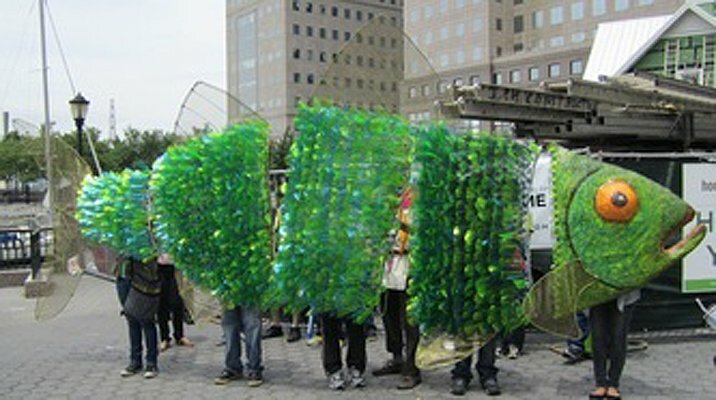 2008, 16"x36"x16", acrylic, pulp, paper mache, natural brunches, aluminum and wire. 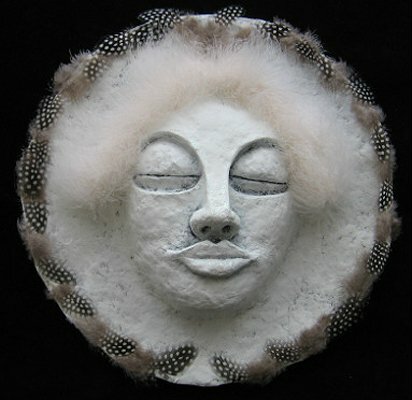 to New York City and currently works as an artist in residence for the Society of Educational Arts and the Marble Hill Senior Center in The Bronx. 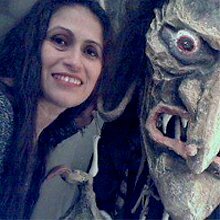 Since 2004, Lucrecia has been the Artist Director and Designer for Earth Celebrations. 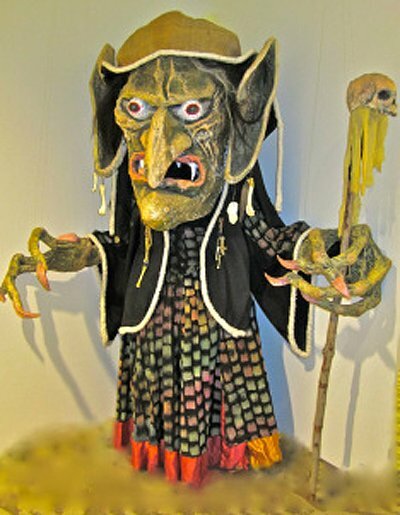 Since 2010, she has joined Superior Concept Monsters, which are the principal troupe in the Village Halloween Parade at New York City. 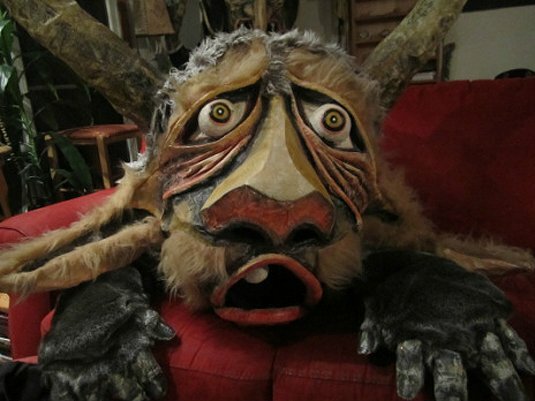 She uses a combination of masks, costumes, storytelling and dance to interpret the folk traditions of many cultures. Her approach starts with an intense investigation on a culture and their beliefs, and this is followed by the creation of a piece. 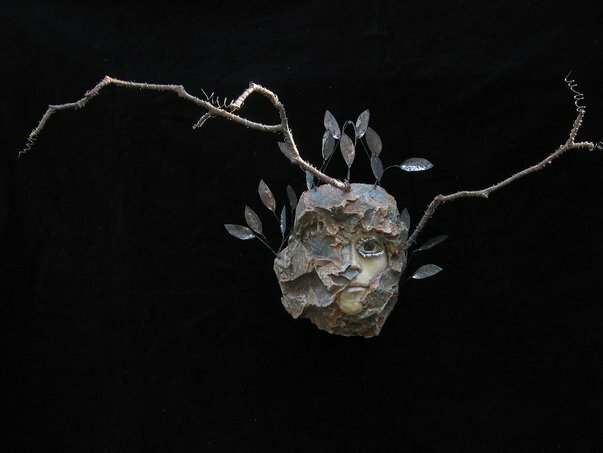 To construct her masks, she uses papier mâché, pulp, plaster, chicken wire, wire and assorted natural materials. 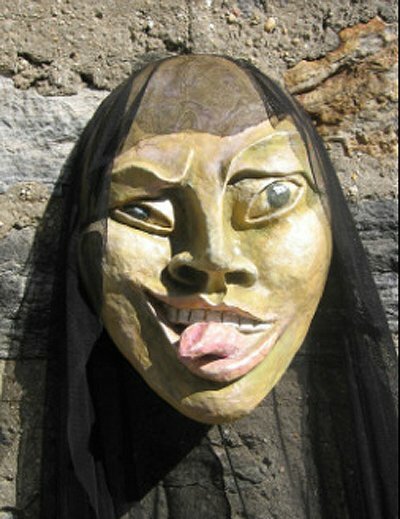 Lucrecia has had numerous exhibits in art galleries, libraries, colleges and schools in the New York area, Connecticut and Massachusetts.